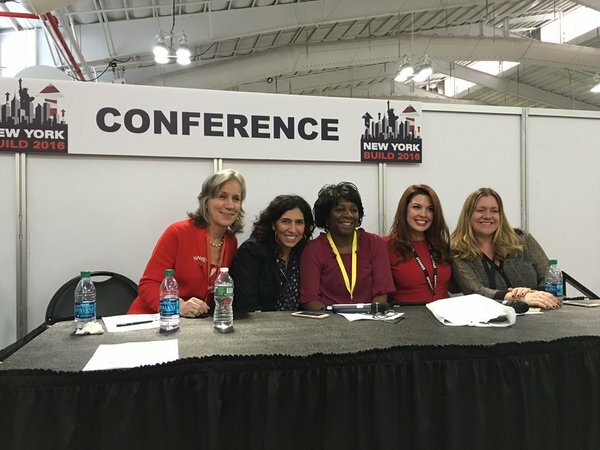 The landscape for women in construction is improving, but much work remains to be done, was the consensus view of featured panelists and participants in a March 7 discussion at the New York Build Expo in New York City. ARTBA Women Leaders Council Chair Jihane Fazio, delivery excellence leader at AECOM, and Allison Klein, ARTBA’s vice president of member services, participated on the panel, joined by Doreen Bartoldus of Gannett Fleming; Allison Frazier of Hill International; and Olivia Rousso of Gilbane Building Company. The panel discussed opportunities and challenges for women in the industry. Panelists shared their thoughts about the under-representation of women in the construction and engineering sectors; current recruitment challenges; and early educational programs to encourage women to consider industry-related careers. Mentorship is another important key to success.